Put your hands on these handlebars - you'll never let go! 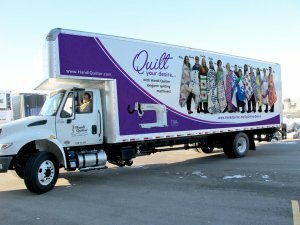 We're "trucking in" Amara quilting machines and hosting Leslie Main, National Handi Quilter Educator, for three full days of hands-on classes. Maximum of two people per machine. Classes designed for future owners and new owners. Build your long arm quilting skills! See all the details here.